Tesco Bengaluru is the only international technology and retail operations center for Tesco worldwide. They make the Tesco experience better for millions of customers, and simpler for over 4,60,000 colleagues around the world. Keeping the organization connected and engaged the world over is critical to Tesco’s continued success. 1. Launch an app at a Tesco event that keeps the attendees connected after the event. 2. Use the app to ensure a smooth check-in experience for every attendee at the event. Tesco Business Services wanted their Foundation Day to help connect event attendees through an event app, so they stay engaged beyond the conference. Additionally, they wanted the event to be a great experience for their employees, and wanted to ensure a smooth and seamless event check-in and registration experience. 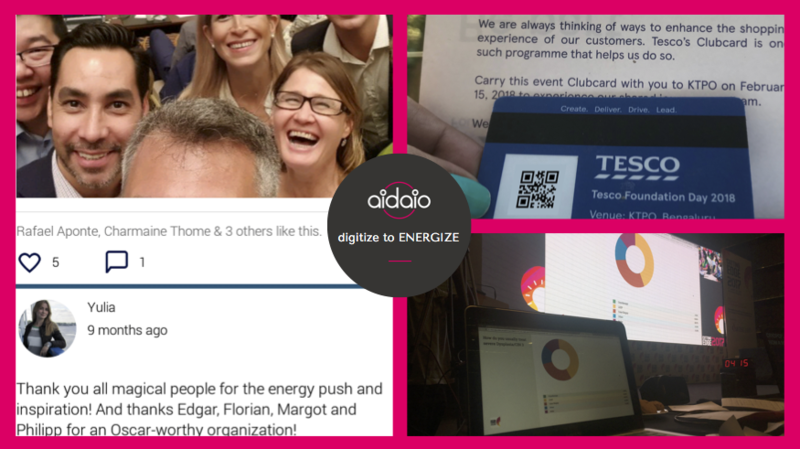 The AIDAIO event app, branded for Tesco, coupled a seamless check-in experience with the ability to help attendees connect and engage successfully. All the attendees were successfully checked-in in record time. The entire process for all 2000+ attendees was done in less than 30 minutes. That averages to under a second spent on each person! The branded Tesco Event App helped attendees to view the agenda and speakers list, share and post content in the app with ease. What’s more, the participants who met at the event found each other on the app after the event, and continue to stay connected till date. The app is multifunctional and has turned out to be a great investment! How did an app connect an organization this large? With a clever combination of pre-event content to build excitement for Foundation Day, interaction through live polls, engagement with speakers through live Q&A during sessions, and much more. And there’s more than meets the eye – the app also gathers data that gives Tesco insights into what sessions and themes their employees are most interested in, and sets them up for success in all their future events and employee engagement activities. If there’s a company that’s mastered the art of employee engagement, it’s Tesco Business Services. We’re glad to be partners to them on this journey! If you’ve ever had an event app, you will know the importance of the Event Agenda feature. The agenda is the first feature everyone expects when they get their event app. They use it to highlight rich speaker profiles, description of the session, personal reminders, rating & feedback, and attaching documents. The agenda has often been confused as a feature that can only be used to inform attendees. To enhance your event experience in far more interactive ways, the agenda feature really helps. Let us show you how. During panel discussions or speaker sessions, the Live Q&A feature is very helpful. The audience can ask questions through the mobile event APP. Projection of questions happens post-moderation. This is a fun and interactive way to engage with the audience rather than using an old-fashioned method of the speaker individually choosing a member of the audience to ask a question. During the event, since the speaker doesn’t have time to answer or point out to every nuance of his speech, it can be hard for an attendee to follow. To rectify this dilemma, we have enabled the chat feature on the event agenda. Here, the audience can chat with their fellow attendees and discuss topics that are related to the session. For some event owners, its vital that they know the number of people attending a session. Such event analytics are necessary for a lead generation platform, limit the session to a selected few and so on. Using the event agenda, we can integrate it with our check-in and help the event owners and organizers get this crucial data. Before attending the session, with the event agenda, all the attendee needs to do is scan the QR-Code and get approved. Instantly, the data will get uploaded to the system for analysis. To maintain the interest of the attendees, you need to interact with them during the session. Live polling is a brilliant way of getting opinions from the attendees and making them invested in the session. For example, during a session, the speaker can pose a question to the audience and based on their viewpoint they can answer accordingly. Projecting this on to the main screen to see the live result is what makes it interesting! There are times in events where there are many sessions in the same time slot, a limited number of seats and etc. To commit to one of these sessions, the attendees need to know the time and description of it. Once they identify the session they want to attend, they can click the RSVP button and then register themselves. This ensures that they have a chance to attend the event and it also provides the event organizer with real-time data on how many people have registered. When attendees come into a session, expecting them to have pen and papers is a big ask. Note-taking is an important part of any session! Depending on their preference they can either write them down or take a video. What makes it really interactive is that they can share their notes and views with the fellow audience! There are many ways one can highlight the sponsors of the event. It can range from banners, ads in the event and etc. The problem with this is, not many attendees will remember them since it is not their main concern. An Event Agenda APP can power your sponsors better. Since attendees will constantly be on the event app, you can market your sponsors in their agenda. In each session, the attendees will get to know either in the description, through images, banners in the app of what that sponsor does. The analytics you get from this will really be helpful to them. To interact with your audience and not just inform them is what makes a successful event agenda. Getting raving reviews is the whole idea of making the event interactive. In conclusion, an event agenda is a powerful tool that provides a quicker and cheaper alternative to traditional methods to achieve your goals. Supercharge your way to #BetterEventTech. Sign Up to create your event APP in minutes! If a question that’s on your mind is “How can event technology enhance an event’s experience?”, then the answer is – The possibilities are endless! Event apps, registration microsites, check-in solutions, social walls, surveys, audience polls, live Q&A, gamification, augmented reality, virtual reality, iBeacons — the list goes on. Often brands, event organizers and event owners are unaware of the impact event technology can have on the event, the audience, and the event ROI. The great news is that we can now measure this impact in real time and adapt to the ever-changing requirements of an event – from concept to post-event. Let’s take a quick look at how we can achieve #BetterEventTech. Even before the event starts, you should keep the event on top of everyone’s minds. This is where event technology starts coming into play. You should connect with your attendees, speakers, sponsors and other stakeholders at a whole new level! Registration: Provide a quick and easy way to register for your event with a responsive website. We recommend QR Codes for confirmation since they are cost-effective. Event app: Launching an event app is the next crucial step. Ensure there is initial event information on it. Once you get the event app, you need to generate some buzz. It’s a great way to engage with participants several days ahead of the event. Private Social Wall – Within the Event app, generate hype for the event. Share videos of speakers and post-invitation messages. Encourage users to post pictures and videos, and engage with the content by liking and commenting on it. Polls – Conduct polls to know your audience – seek opinions on the content of the event, ask for feedback on pre-event activities, gather preferences and more. Alerts – Pique curiosity by sending notifications about sessions, keynote speakers, in-app contests, and agenda updates. An admin’s app will allow you to create all these while on the go! Agenda – The itinerary, schedules and scientific programs are extremely critical for your attendees. Each attendee should be able to personalize their own schedule and plan how they’re going to get the best out of the event. Event day is always tense! The day of the event can be nerve-racking! It should be fun and memorable for everyone — including you! Let technology be your workhorse – from check-in to engagement, to interactions, to collecting on-ground data. You should get to focus on the show. Check In – The first impression is the best impression. No one likes long queues. 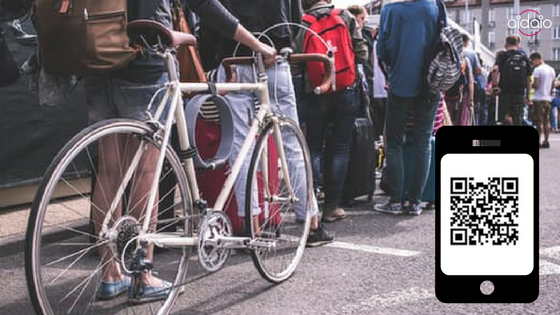 A good event check-in solution should identify and scan an attendee within seconds. Nothing is as pleasant as a hassle-free, quick check-in. You can even take it one step further – send a personalized welcome message to each attendee! Live Q&A – Imagine a session or a panel discussion where the audience gets to chime in too! Increase engagement during the event between the speakers and the audience. The audience can post questions through the mobile event app, and these can be projected post-moderation. Audience Polls – Hold the attention of the audience throughout the event by interacting with them directly. Have the audience choose winners, let speakers seek opinions during their sessions, and much more. Lead Generation – Continue using the attendees’ QR codes to capture their interest in booths and to track when they have checked in at sessions.They can also use them for lunch and dinner coupons. Feedback – Make it easy. Make it offline. No paper. Event technology is a powerful tool that provides a quicker and cheaper alternative to traditional methods to achieve your goals. Want to see proof of how technology can really help you set a trend for your event? View the full case study to see how Tesco became part of the #BetterEventTech family. You can maximize the leverage on your event by creating great content, which can significantly generate online interest for the event, as well as extend its life cycle and recall value. Let’s now delve into how you can plan and deliver your event content to create an engaging event. Do you need to persuade, to inform, to include, to join the event? Make the plan as detailed as possible, include numbers and other tangible measurements to ensure you can monitor and know when you get to the respective milestones. For example, if you are organising a local concert, then define the needs you have: reach 100K users (target audience – explained later) within November 15th with an expected ticket conversion rate of 1% (1000). Cross-selling of products or services to event attendees. Building your database for the future events etc. Tip: Spend time at this stage, make sure you get an agreement from all the stakeholders before finalising the objectives and be sure that the set goals are specific, measurable, achievable, relevant and timed (SMART Objectives). Once set, email all the stakeholders to be sure to document what was agreed to get them all on the same page. The next step towards content planning is defining the target audience for your event app. Which of the event participants will be served most by the event app? Mostly, the answer to this is the “event attendees”. Following are a few questions that one must keep in mind when defining the target audience. Demographics: Age, gender, location, income level, education, marital status and other details you deem important. Personality traits: attitude, values, lifestyle, interest and hobbies etc. ). If the target users do not reach the required number (100K) you may need to modify the sub-objectives into “acquire new users” and “target existing users”, and respective goals. Tip: You can increase your demographic set by understanding who are your competitors targeting and their customers. You can also identify current gaps in their campaign or bring in a new target segment if they fit into the equation. Identifying key metrics is vital for the content sharing success. An understanding of what is on track or not at the start of the campaign will help to measure your success objectively. Consumption metrics, which indicates the view or download rate of the event content. Share metrics, which indicates the number of shares for the content. Lead generation metrics, which indicates if the content has generated any leads for the event. Sales metrics, which indicates the number of event registrations from the various forms of content. Recall and share the event online, or with their friends or colleagues. Use their gained insights (through presentation slides, handouts, and notes) to understand the event better. Engage with the event and the organisers consistently. Content that you produce should answer general user questions about the event: why would they, (TA), be interested in your event? How can your content help them make a decision to purchase/promote? Promotional campaigns: Are you offering some early discounts? And why should they purchase? Notification can be used here to talk about new content. This can also be presented using a landing page (or a promotional template). 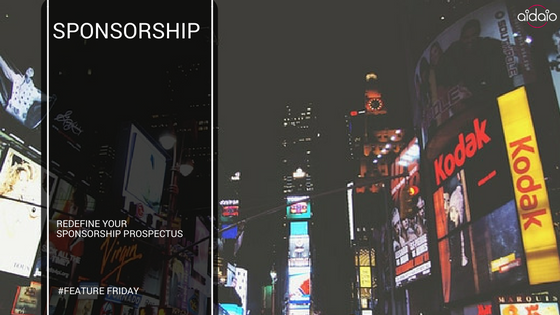 Exclusive campaigns: Create exclusive content based on your objectives and the target audience. For example, millennials are known to love video content that is entertaining and engaging. Others can include infographics, illustrations and photos. Social activity campaigns: Push content when their friends and followers perform an activity, to generate interest or desired result. Encourage conversation among the users (do not forget to moderate). Re-Permission campaigns: Reminders when they have exited the app without the desired result, e.g: Push Notifications – Retargeting your interested users should be one of your main strategies here. Transactional Campaigns: An interaction that leads to some transaction, a sign-up / purchase etc. Make sure your messaging is accurate and clear on the goals you want to achieve. Event details: It is easy to miss concentrating on the event details with all the promotion that is around. Do not forget to craft a great “events page” with all the required details, descriptions, videos, pictures, FAQs and any other content you feel is important (do the brainstorming). Understand that majority of your users may come from outside the app. A strategy that helps to bring new users to the event part of the app can be useful. Which social media channels are appropriate for this type of content? What type of content should be delivered into each of these channels? Do you want to leverage email marketing? Tip 1: The content needs to be app friendly and brief, especially when targeting an impatient generation. So, know your target audience and design your content accordingly. Tip 2: The key is to choose the right campaigns/mediums for the objectives at hand, and not what is popular. For example, the Boeing current market outlook app by the aeroplane company is not here to sell planes on their app, but to provide interested users with the right information, to put a human face to their operations. So, the objective of each company may differ. Scheduling all the tasks including who does what is important, but keeping to it is even more critical. Sending timely calendar events to participants before the event, including first invites, follow-ups regarding confirmation, and reminders. The calendar planning must happen once at the planning stage, and the details need to be revisited when the content types and campaigns are agreed upon. Tip 1: Keep the various content funnel templates (content at various stages) ready in advance. Running campaigns (delivery of content) and production (creation of content) at the same time creates speed mismatch and puts additional pressure on the teams. Tip 2: Consider making the content easily viral: content outreach can be easily increased tenfold by making it easy to share and via marketing platforms. Tip 3: Post regularly, make sure you control the frequency. The content should not be too frequent or otherwise. A successful content strategy for your event app is about reaching your target audience at the right time and frequency. For this to happen, quantify your plan, involve all stakeholders, develop a content strategy, put-in a milestone check, measure and communicate. The key is making a plan, timely checks and improvising (backed by data) as needed. Introducing our QR Code Check-In Solution! Quoting Wikipedia – “A QR code consists of black squares arranged in a square grid on a white background, which can be read by an imaging device such as a camera.” QR codes have become popular as a mechanism to direct people to a website a lot quicker than manually entering a URL. Whether you are an event professional or an attendee, long lines at the registration desk are always an eyesore. For an event organizer, the day of the event is already rough with all the running around. On top of it, the chaos and unhappiness caused by long lines can be nerve-racking. How can I leverage the convenience of QR codes to ease my pain on event days, you ask? Well, when an attendee registers for your event, a unique QR code is shared with them. On the day of the event, all you have to do is equip your ground staff with QR code scanners. When the delegate arrives at the venue, they are asked to display their unique QR code to your ground staff at the entrance. Once it is successfully scanned, the QR code becomes an authorized digital entry pass for the delegate. Still not blown away by this nifty check-in solution? Let us tell you how they are the next-big-thing to revolutionize your events. Easy Setup and Dismantling – Time and manpower spent in the construction of registration counters and dismantling them afterwards are immense. With QR code check-ins, you can cut that out by at least a tenth. Smaller and Faster Moving Lines – The QR code check-in solution takes less time per attendee check-in. In addition, there are no badges or lunch passes to be handed out separately. The code acts as a single pass for all possible entry points at the venue. That’s one QR code to rule them all! 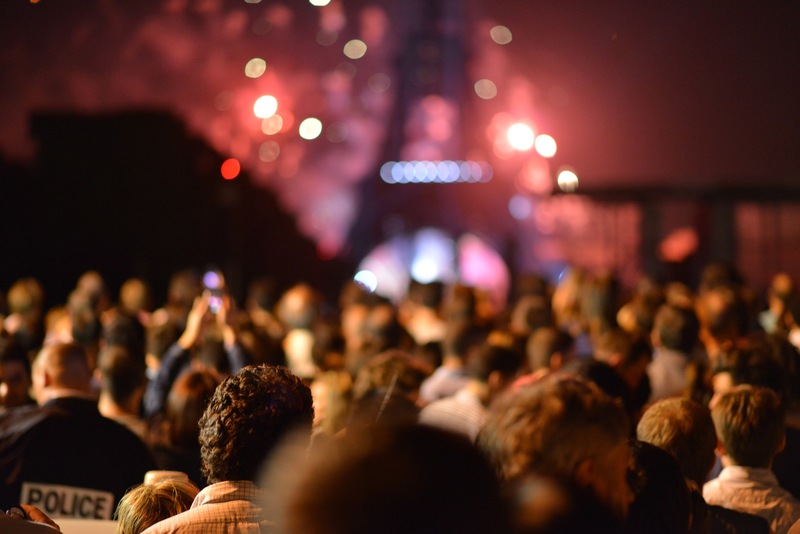 Fewer Security Concerns – If you are organizing large events, you know handling massive crowds is not only cumbersome, but also raises security concerns. No matter how many times you check and re-check, the same guests end up getting listed more than once. Eliminate duplication of guest profiles and free your mind for other important aspects of the event that needs your attention. Fewer Devices, Staff and Stationery – QR code check-ins not only take less time but fewer ground staff too. QR code scanners are super easy to handle and operate. Stop worrying about procuring and setting up laptops and stationery for your staff at the registration desk. No Power or Internet Connection Required – A most painful and dubious part of setting up is the task of ensuring that the power supply and internet connection for laptops at the registration desks work. Well, not anymore! These QR code scanners can be charged beforehand and they work offline too. Simple Training and Briefing – QR code scanners are very easy to operate. Your ground staff will need no training to start using them. All you have to do is test the scanners ahead of the event. When you huddle with your team before the start of the event to raise their spirits for the big day, you can cut out the whole activity of briefing them about making registrations work. Go Green -A single QR code can be used as an entry pass, a lunch coupon or as a form of authorized access to various parts of the event. You will be reducing the printing costs for the entry passes/badges/lunch passes. That means less litter at the end of the event as well! Less waste – The number of guests who have checked in is data that you can pass to the kitchen straight away. You’ll be helping your chef plan better and avoid wastage or shortage of food. Actionable Analytics – With obsolete registration counters, there’s no comprehensive way to know when a guest arrived and when they left. Metrics like that can be very useful to track and analyze. During the span of the event, when did the maximum number of check-outs happen? Was it during a particular session or time? If yes, what can you do to ensure that it does not happen at your forthcoming event? Once you are back to the office after a great event, we will empower you with analytics and reports to make sure your next event is even better! Cut Costs, Save Money – Now that you know all of the above, the monetary benefits to you are a no-brainer. Lo and behold, check-ins are no longer a pain – not for you nor for your attendees. You have invested your heart, body and soul for each of your events. Don’t let the long and chaotic registration lines reduce the shine at all. Unlock the power of QR code check-ins for your next event! Here is a handful of ways event apps can be an amazing convenience tool and add value to both festivals and fairs. Ensure you are using the Event app to reap ALL these benefits to maximize the ROI of it. Hassle-free Ticketing – Booking tickets for the festival has never been so easy and effortless. Festival-goers can view and book deals & packages on the move. Boost Sponsorship – Over 100 Festival Apps (powered by AIDAIO) have helped festivals reduce their on-site staff and going paperless. For this reason, it has helped to reduce costs by 30%. Additionally, it creates a platform to generate revenue from sponsors by selling in-app banners, splash screens, notifications and more. Inspired Audience – Help your audience have the time of their lives by informing them about the festival’s calendar. Let them know when their favorites are playing! Introduce the newer ones by sharing youtube videos and much more. Event Content goes mobile – Make your app the go-to place for all your content instantly. Get announcements and directions to important locations and don’t forget to include emergency information in the App! The bottom line is that mobile possibilities are endless. Don’t use it to only replace paper or brand visibility. Or even worse a replica of your website! 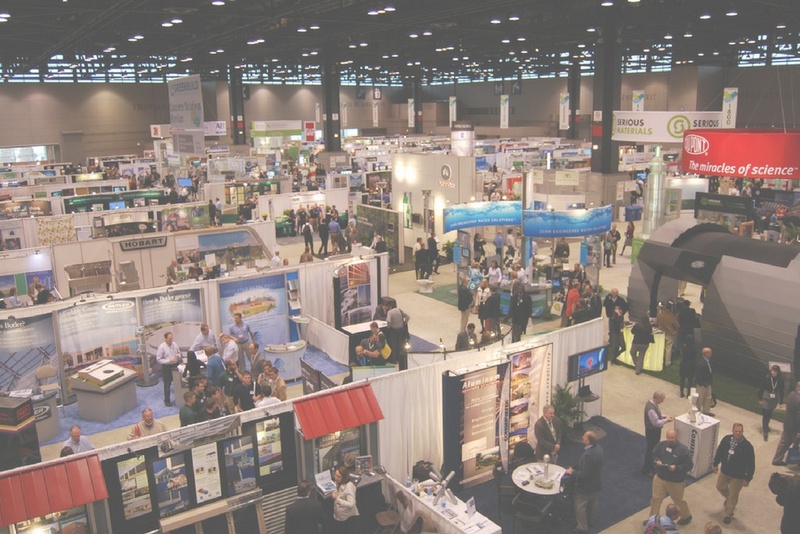 Also, check out these blogs if you Have a conference or Tradeshow? There are a handful of ways event apps can be an amazing convenience tool and add value to both exhibitors and visitors. Ensure you are using the Event app to reap all these benefits to maximize the ROI of it. Happy Exhibitors – Empower your exhibitors to get discovered, increase booth visits, target notifications to visitors through exhibitor listings linked to an interactive floor plan. Buyer-Seller Connect – Utilize the APP to provide exhibitor content with product brochures, videos & pre-show brand information to your visitors. This, in turn, facilitates better connections, booking meetings and did we say an additional revenue for you? Instant Lead Generation – A simple APP survey recently run on an APP (powered by AIDAIO) generated over 5000 leads. So don’t just list the exhibitors. Make it interactive with sponsored polls, giveaways, contests besides an in-app contact exchange and much more. Save Money, Earn Money – Over 100 Event Apps (powered by AIDAIO), have helped tradeshows and expos by going paperless and reduced their on-site staff. This, in turn, has reduced their costs by 30%. Additionally, it creates a digital advertising platform for all exhibitors to promote their brand. Also, if you have a conference then check out this link. The bottom line is that mobile possibilities are endless. Don’t use it to replace paper or improve your brand visibility, or worse a replica of your website! To know more about mobile apps, click here! Happy Participants – Worried about long registration queues? last-minute changes? sessions that run over time? are speakers being late? sponsors wanting visibility? Your App will open up new lines of communication amongst attendees, sponsors, speakers & planners like yourself. 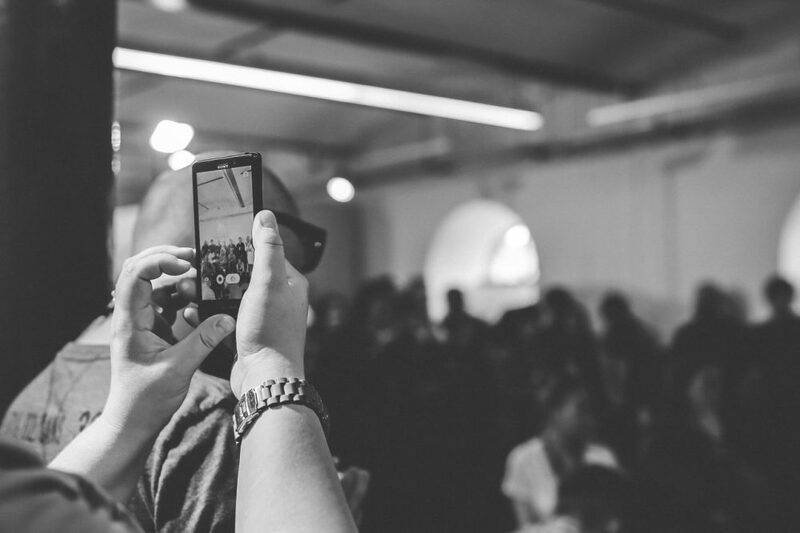 Event Content goes mobile – Make your App the hub for all content. Provide instant updates right in the palm of your audience. Measure the pulse on the ground with instant polls and feedback. In any case, Don’t forget to Include emergency information in the App! Save Money, Earn Money – Over 100 Event Apps powered by AIDAIO have helped events by going paperless & reducing on-site staff. As a result, this has reduced their costs by 30%. Additionally, the App creates a digital platform for your Partners & Exhibitors to increase visibility and promote their brand. Facilitate Networking & Participation – Create a digital community around your event. Use the App to connect attendees using our intelligent matchmaking based on their interests. Let them share their thoughts in a public event feed, through private messages or in social media. All things considered, mobile possibilities are endless. Don’t use it to replace paper, brand power or even worse a replica of your website! Gamification – the millennial buzz word that has garnered a lot of attention of late. Google it up and Wikipedia will be the first to add it. “Gamification is the application of game-design elements and game principles in non-game contexts.” Is there a better way to state it! To put it in other words, gamification makes mundane tasks interesting, by awarding the users points or badges, taking them a level up and nudging their competitive bones. Any platform where a lot people from different backgrounds are involved, constant and overall engagement is always an issue. It becomes all the more incommodious when the stakeholders involved are from different cultures and languages. It becomes quite challenging to draw users from their shells and to make them a buzzing part of the community. However, as humans, constant and most importantly, instant gratification reassures each one of us. Like any conventional gaming platform, bring that to apps, and reward points to users based on their activities and interactions. Points – User actions on a mobile app include adding posts on the timeline, sharing their responses through Polls, Quizzes and much more. Use this to your advantage by awarding points on the basis of the complexity of the activity performed. Levels – Based on the points secured by the user, they can be taken a level up or down. As they participate and engage more, they move ahead and cross levels and so does their sense of achievement and competitive drive. Badges – On the basis of these levels, users can be awarded badges. Initially, they could be tagged as Beginners and as they accumulate more points, badges such as Advanced, Expert, Guru can be awarded. Badges can be displayed on the user’s profile where their achievement are tagged and displayed. Leaderboard – Users can then be ranked on the Leaderboard according to their points. This makes them wary of others achievements and motivates them to participate more. If the users are teamed up, then the leaderboard drives home a sense of community and team spirit. 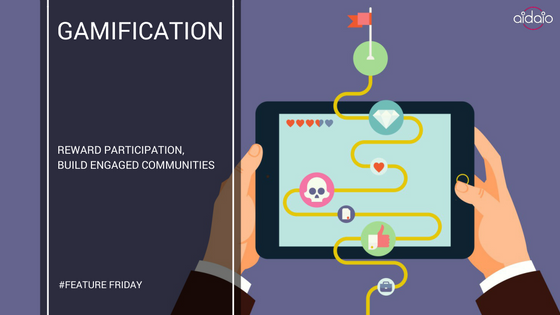 All things considered, gamification if used right, can build a sense of community among the users and encourage them to be active contributors. If the tasks are annoying, then no matter how many ever points are awarded, the app will fail to indulge its audience. Instead of a single massive end goal, award points at regular intervals so that they do not lose interest or sense of achievement and move on. And always make sure that users are not just participating for the sake of flaunting their points. Conveyed right, these user actions can also provide feedback for your business. Gamification can be the next big thing for your business by increasing efficiency and interactivity. Make sure you capitalize on it!  The Aidaio platform is focussed on driving engagement and getting you up close and personal with your audience. We have built a suite of features to create interaction and engagement. Visit our website www.aida.io to know more. A Feature Focus on App Event Sponsorship! If you are one of these event planners, worrying about the budget for your next event, then fret not, you are at the right place. Every sponsor does their ground work before agreeing to associate their brand with an event. Once that hurdle is crossed, they have to make it a successful sales campaign in terms of brand visibility and customer reach. Standees and banners at venues have become a thing of the past. There are so many of these, all around the venue, that the brand gets lost in the sea of billboards. To stand out from competitors and grab more eyeballs, why not go digital? Smartphones have become a part and parcel of our lives, and we spend more time with these than with a family member or friend. Most event planners today, consider event apps as an indispensable and integral part of their events. But have you thought about how you can make it a win-win for you and your event sponsors? Here are some features of the event app that enable you to do just that. This is the entry point for the users to the app and thus offers a great opportunity it to make an unforgettable first impression. And the feather on the cap is that the coverage is maximum – because it is full screen. Moreover, every time users open the app, the splash screen with brand collaterals are displayed to them. Once the user logs in, she gets to the landing screen where general information about the event is shared, also termed as the home screen. These rotating images are displayed on the top section of the mobile screen. A banner of the brand is displayed for around 5 seconds. If the motive is to share details of your brand through website and contact details like telephone number email address etc., then highlighted partner listing is the best option. The sponsors can be classified into categories – for instance, Platinum, Gold or Silver Partners, and listed accordingly. If you don’t want to share your space with anybody and want to be featured all across the app, then ad banners are your best bet. The brand is displayed at the bottom of the mobile screen and stays in the user’s view all throughout. If brands are exhibiting their products in stalls at the venue, then the opportunities are much more. Imagine a situation where an individual venture to a stall and she gets a custom notification about the brand and its products. Such services are striking as they grab the individual’s attention and drive home the point by exploiting the advantage of proximity. The notifications based on proximity require hardware to trigger the notifications, called Beacons. But if you wish to remove the overhead of hardware, then sponsored notifications can be configured to be sent at regular intervals. Most events today share the floor map of the venue to make it easy for themselves and the delegates. Exhibitors can use it to their advantage by getting their stall highlighted in the venue map. We have got you covered for the budget for your next event – one of the many things that you as an event planner worry about and definitely of the topmost priority. It’s up to you now to interest your sponsors by creating the best digital event sponsorship packages.